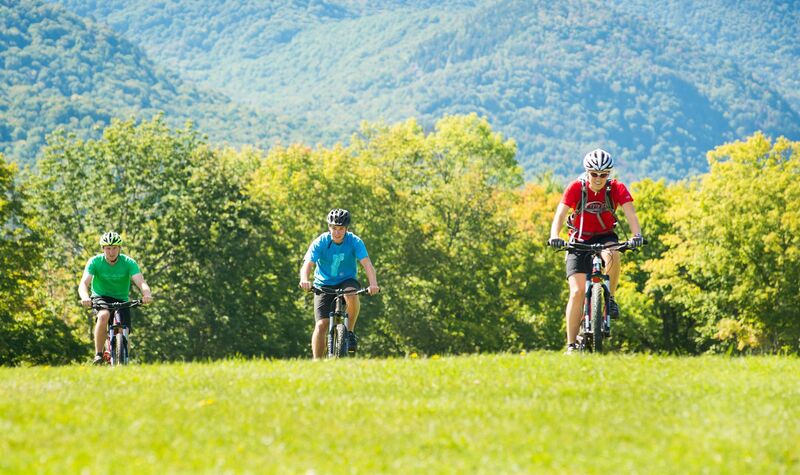 One of the best ways to explore the Vermont countryside is to get out and ride! The Trapp Family Lodge's 2,600 acres feature an extensive mountain bike trail network with two skills parks. Ride our 8 miles of expert and intermediate single track, or more than 20 miles of double track through mountains, fields and forests. Ride Hop Over or Lager Lane to the von Trapp Brewery Bierhall... the best trailhead ever! 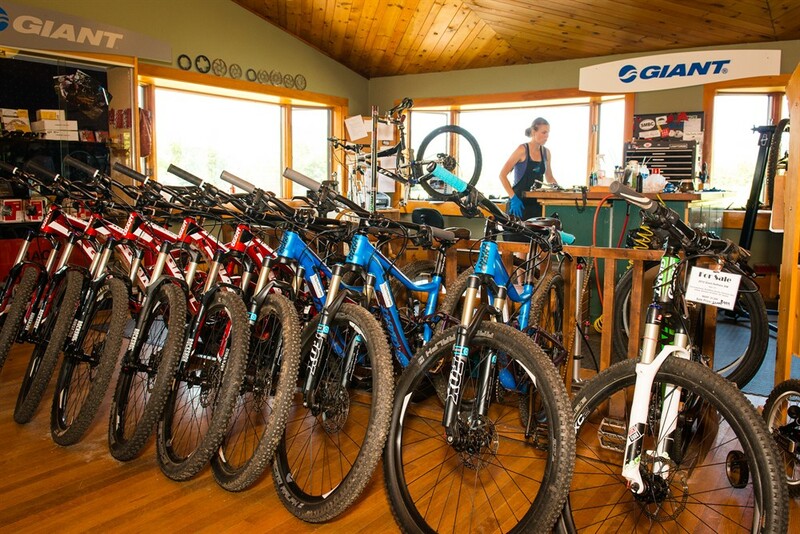 We offer high-quality bike rentals through Giant Bicycles as well as repair services and riding lessons. Purchase your Mountain Biking Season Pass here. 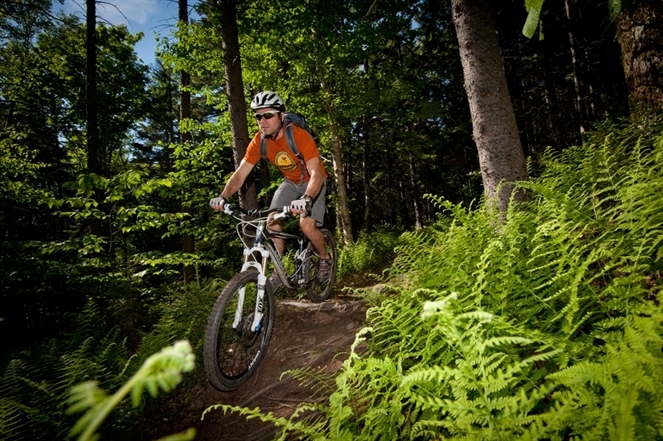 The Trap Family Lodge mountain bike trails connect with an even more extensive Stowe trail network. We're aligned with the Stowe Trails Partnership which manages three distinct trail pods: Cady Hill Forest, Adams Camp, and Sterling Forest (in addition to several connector trails, including Alex’s Trail in Dumont Meadow). Each of these pods is distinct in character, with widely differing trails, views, and terrain. Many of the trails are situated on lands permanently protected under conservation easements held or managed by the Stowe Land Trust, and owned by the Town of Stowe. For three decades, Giant Bicycles has devoted itself to the growth of cycling and cycling culture. Giant has actively participated in the development of cycling, from that of simple transportation to its current popularity as a recreational and sport activity. The company believes that bicycles bring quality to life, and it takes personal responsibility for improving the cycling experience. The ability to bring new and healthier lifestyles to customers around the globe makes Giant Bicycles proud. Basic - $35 for 3 hr. | $45 for 24 hr. Performance - $45 for 3 hr. | $65 for 24 hr. Kids - $15 for 3 hr. | $30 for 24 hr. View our Walking, Hiking, and Mountain Biking Trail Map here!